Low-Volume Production and Prototype Custom Plastic Injection Molding and CNC Machining in 1-15 days. 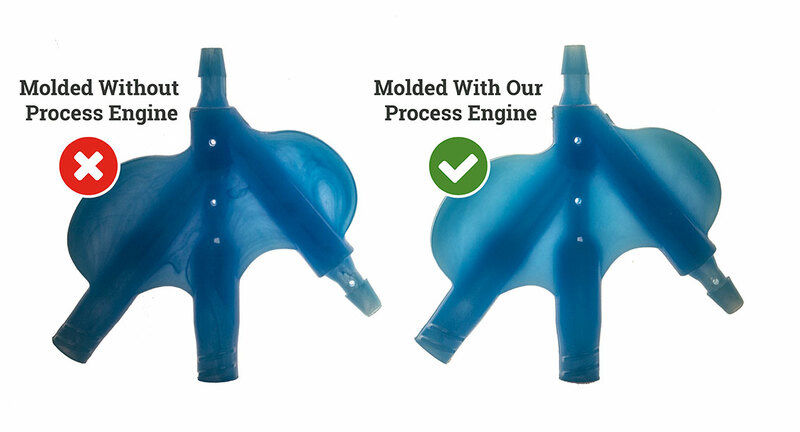 Injection molding is NOT a process of trial and error. In the early days of Xcentric, founder Damon Weaver realized that even the most seasoned injection molding process technicians, lacked the scientific knowledge of processing a mold. Even though Xcentric employed some of the top process techs in the industry, he found that his molders were processing by trial and error and thus molding stress into parts unknowingly. He noted that even though a part may look good ascetically, that there could be hidden molecular stress. 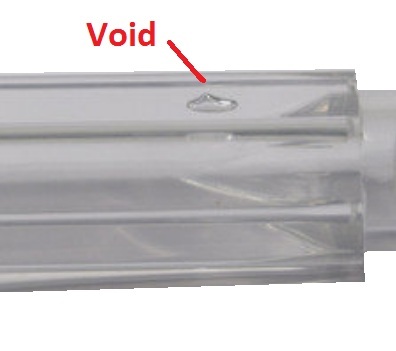 In the past, customers would do a trial run of parts using clear plastic. As a result, this would let them see what was happening to the interior of the parts. This idea would reveal obvious defects such as voids or bubbles caused by the molding process. However, this concept would not let them see down to the molecular structure of the plastic where stress could build up. Features of the process that the Process Engine calculates, monitors and corrects using a comprehensive algorithm and part geometry. Be sure your custom injection molding company is monitoring for these conditions. Otherwise, there is no guarantee your parts will be free of stress.